Home » Worth a Try » Our Recommendations: Which Weight Loss & Body Building Supplements Work Best? We seldom make product recommendations here at UltimateFatBurner.com. The benefits of most products on the market are grossly exaggerated and not supported by anything remotely resembling evidence. We simply cannot, in good conscience, make recommendations for products whose claims have no basis in fact. Or for products sold by retailers with an established record of bad behaviour, nefarious billing practices, and terrible customer service. So it’s a rare occurrence indeed when a product meets our criteria for a recommendation. Thus, you’ll encounter very few recommendations on this site. At the same time, we recognize you are looking for products that will help you attain your goals, and to that end, we’ve included a list of some products you may find helpful. However, before you begin, we suggest you check out our criteria for making a recommendation so you fully understand why we recommend the products we do. MX-LS7 (Maximum Strength Lean System 7) is a hot-rodded version of Isatori’s original LS7 product and isn’t suitable for individuals who are sensitive to stimulants or have no experience with thermogenics. Why do we recommend this product? Simple; a decent formula backed by a 100% satisfaction or your money back guarantee (when ordered direct online). Unlike other companies that make you jump through hoops to obtain a refund for a product you are not happy with, Isatori will cheerfully refund your money should you make such a request. We like a company that removes the risk from your purchase. Click here to read the MX-LS7 review! As you know, we like Isatori’s products for several reasons. First of all, they are a quality, customer-focused company. They are one of the few that offer a REAL “100% satisfaction or your money back” guarantee (that means they actually honor it), provided you order the products direct online. We like a company that removes the risk of a purchase, and “puts its money where its mouth is,” so to speak. Customer service is superlative, and the products are class-leading, which is of obvious importance. Additionally, Lean System 7 is one of the few fat burners on the market that has had its effects validated by a published, peer-reviewed study. Click here to read the Lean System 7 review! If there were more truly customer-focused companies out there, we wouldn’t always be recommending Isatori’s products. That said, Curvelle is slightly more pricey than other women’s products on the market, but the customer feedback we’ve received indicates that for the most part, spending the extra dollars is worth it. Curvelle is also a “gentle” product, boasting a formula that focuses on balancing blood sugar levels and providing a smooth sustained energy boost. If you prefer products that contain so many stimulants you can barely sit still, this is probably not the product for you. Click here to read the Curvelle review! CLA, or conjugated linoleic acid, is a non-essential fatty acid. Several studies show some benefit for weight loss, although we would caution users not to expect dramatic results from it. It’s less potent than stimulant-based fat burners, but we especially like it for the elderly and people who are sensitive to caffeine and similar ingredients. CLA does not possess any stimulant properties. Click here to read the conjugated linoleic acid review! Or click here to purchase CLA from a recommended partner! Or, see more stimulant free fat burner recommendations! Glucomannan is a simple fiber supplement. It’s the foundation of expensive weight loss products like Lipozene, Propolene and Tetrazene KGM-90—which are not worth an experiment. When purchased in isolation however, glucomannan is very affordable. It is this affordability (a month’s supply can be had for around $10), in conjunction with a number of peer-reviewed studies showing benefits for dieters and diabetics, that make an experiment worthwhile. Click here to read the glucomannan review! Or click here to purchase glucomannan from a recommended partner! Or, see more appetite suppressing supplement recommendations! Do you find yourself battling intense and even irrational cravings for sweets or simple carbohydrates mid afternoon and in the evening, several hours after suppertime? Do you find your energy levels surge and fall, leaving you fighting to stay awake at certain times of the day? It’s possible you have a blood sugar imbalance. There are several supplements that show promise for regulating blood sugar levels; glutamine, banaba, glucomannan and alpha lipoic acid are but a few. Our favorite is glutamine, based largely on our own anecdotal experiences. Click here to read the glutamine review! Or click here to purchase glutamine from a recommended partner! Or, see more recommendations for blood sugar moderating supplements! Author Tom Venuto is well-known and highly credible, and that’s certainly evident in his book. “Burn the Fat, Feed The Muscle “, is a online bestseller and quite possibly the best diet and weight loss publication we’ve ever encountered. Burn the Fat is a little intense, but it’s very, very good. If you’re looking for results, you’ll definitely want to check this program out! Click here to read the Burn The Fat review! Or click here to order the Burn the Fat program online! Or, read other top diet program reviews! There are a lot of nitric oxide pre workout supplements worth trying (eg., Gaspari’s SuperPump 250, BSN’s NoXplode) but White Flood is our favorite, and the one that earns our recommendation. The combination of pump-enhancing ingredients, nootropics, energy boosters and other goodies make this one a winner! Click here to read the complete White Flood review! Or click here to purchase White Flood from a recommended partner! Or, see more pre-workout supplement recommendations! While the best nutrition comes from whole foods, sometimes it’s impossible to make smart eating choices on a hectic schedule. That’s where a meal replacement powder can help. Great taste, a solid formula and no cheap fillers makes Eat-Smart a winner in the meal-replacement department. The strawberry flavor is one of the best tasting I have ever tried. Click here to read the Eat-Smart review! Or click here to purchase Eat-Smart direct from Isatori! Branched chain amino acid (BCAA) formulas aren’t exactly on the cutting edge of sports supplement science. Instead, they are tried and true formulas that are helpful, if not in an overly dramatic way. Scivation’s Xtend is a value-added BCAA formula that tastes decent, is priced competitively, and gets the job done. Read the full Scivation Xtend review here! 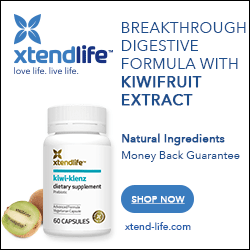 Or click here to purchase Xtend from a recommended partner! The BSN brand took a bit of a hit due to the class action suit filed against them (it alleges CellMass contained no creatine ethyl ester malate in its formula). Nonetheless, recent research has revealed CEE to be an inferior form of creatine, so this newly formatted version of CellMass is actually a significant improvement. Cellmass is a solid, but not revolutionary creatine product that tastes good, is reasonably well-thought out, and delivers good value. An honorable mention goes to Nutrex’s Volu-Gro; it’s a simple creatine & waxy maize blend that will get you pumped! Click here to read the Cellmass review, or here to order from a recommended partner! Or, click here to read the Volu-Gro review, or here to order from a recommended partner! For the creatine monohydrate review, click here! Consider H+ Blocker a “super-charged” beta-alanine supplement. It’s one of my favorite supplements, and it’s very rarely that it does not make up part of my pre-workout stack. If you haven’t experienced what a well-thought-out beta alanine product can do for you, you may be interested in giving H+Blocker a try. Click here to read the H+ Blocker review here! Or click here to purchase H+ Blocker direct from Isatori! Or, click here to read more about beta alanine! Will Brink is one of the world’s best known supplement and training gurus. His publication, “BodyBuilding Revealed” is the final word for a weight training program, supplements and nutritional requirements for any weight training fanatic! Click here to read the full Body Building Revealed Review! Or click here to order the Body Building Revealed program online! Or, see other body building program reviews and recommendations!